I like to call myself a news junkie. I love to read newspapers and follow trending topics in the news. The news media can be a powerful tool for good. Since this story ran on Oct. 1 and a WKYC TV story about the shortage aired the next day, the Mothers’ Milk Bank of Ohio has been getting much needed attention. 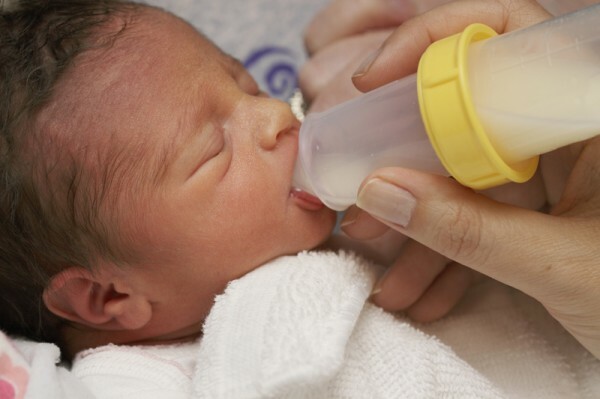 Akron Children’s Hospital’s neonatal intensive care units and special care nurseries depend on the milk bank to supply donated, pasteurized human milk to premature newborns when their mothers cannot supply enough milk for their needs. This happens for a variety of reasons. Sometimes there’s a delay in the mother’s milk coming in, especially in cases of prematurity. Mothers who are on certain medications or who’ve had breast surgeries may also have difficulty with their milk supply. Decades of research make an unequivocal case that breast milk is best for all babies and is especially critical for preemies. Breast milk is more easily digested and protects against infections and a potentially fatal intestinal problem called necrotizing enterocolitis (NEC). Studies have also linked human milk with better brain development and lower rates of sudden infant death syndrome. But there’s been growing concern at Akron Children’s and other hospitals throughout the state as the milk bank has not been able to fulfill the demand for donated milk. Recently, Ohio’s milk bank had orders for more than 7,000 ml of donor milk. That’s equivalent to 3 ½, 2-liter bottles of Coke. They only had 1,400 ml of milk on hand, or 1.4 liters. Other states are experiencing shortages as well. One concern is that more women are sharing and selling their breast milk through informal (and unregulated) channels. They may be responding to an ad, reading about a need on Facebook or wishing to help a friend of a friend. But this type of sharing has risks and doesn’t direct donated milk to the infants who need it the most. Women who donate their milk must pass eligibility screening similar to what the Red Cross expects of blood donors. They are screened for drug use and diseases, including HIV at no cost. Their donated frozen milk is picked up at their front door and passes through a testing and the pasteurization process before being given to prescribing doctors. The need is growing. When it began in 2005, the Mothers’ Milk Bank of Ohio distributed 5,000 oz of human breast milk to hospitals and other providers. Today, roughly 22,000 oz are being shared monthly. For more information about becoming a donor, contact Diane Bates at the Mothers’ Milk Bank of Ohio at 614-544-0813 or dbates@ohiohealth.com. Falling back: Does the time change disturb your little one?